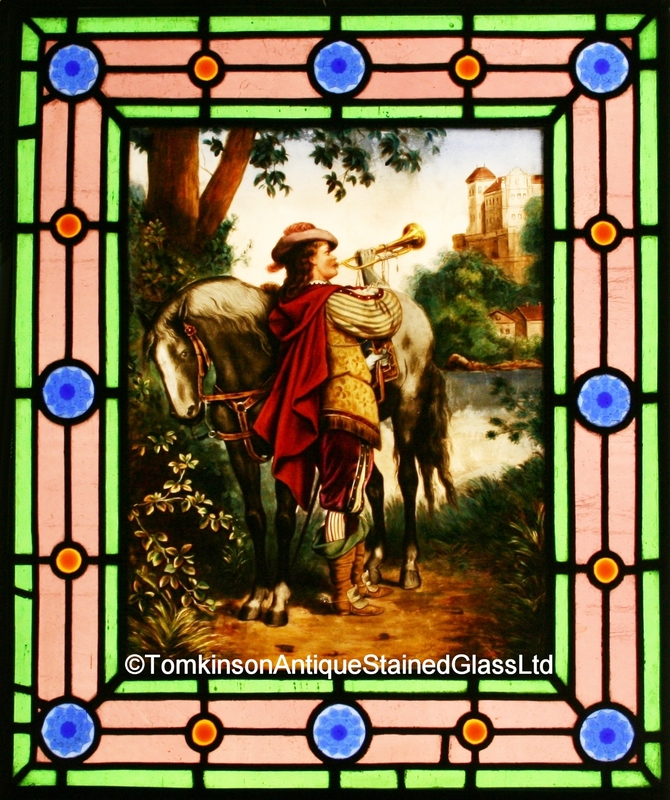 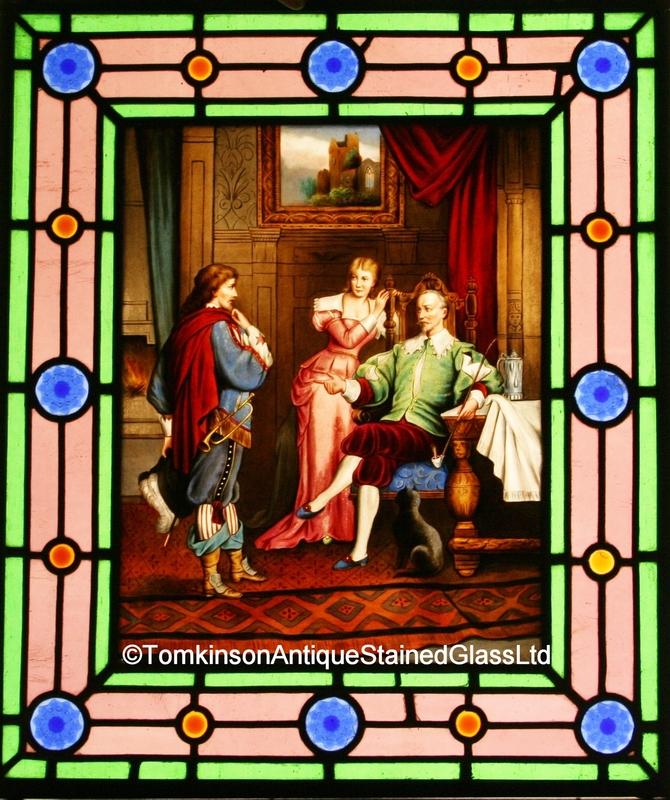 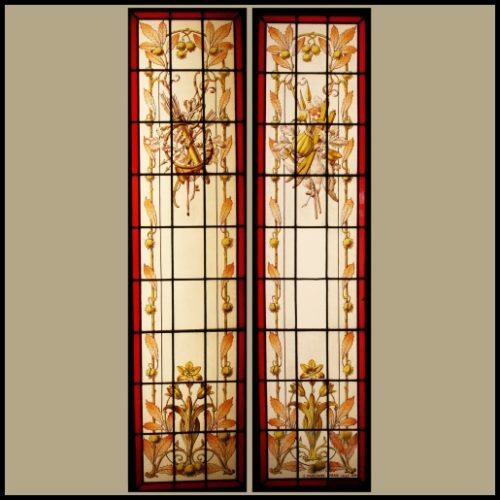 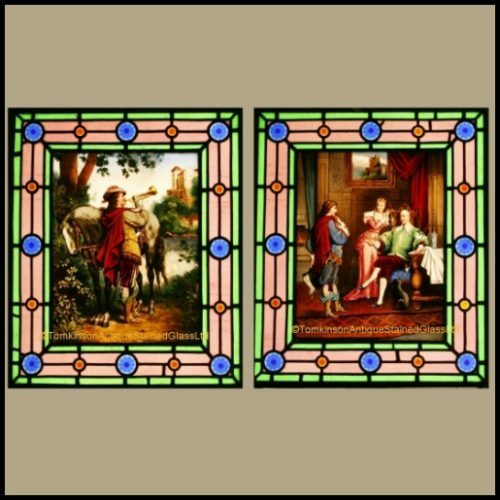 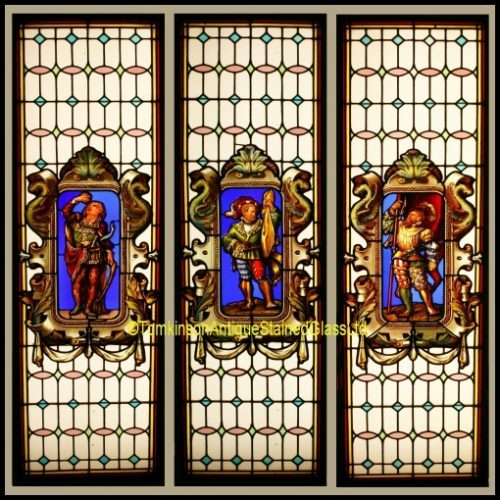 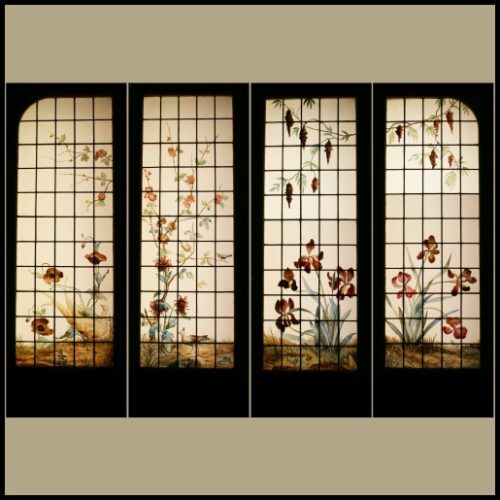 Pair of French antique stained glass windows, each with large glass panels hand painted depicting Period scenes. 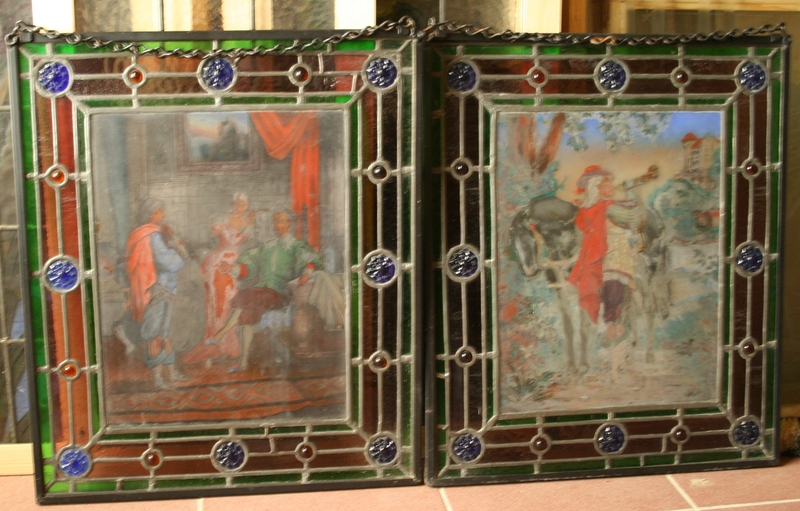 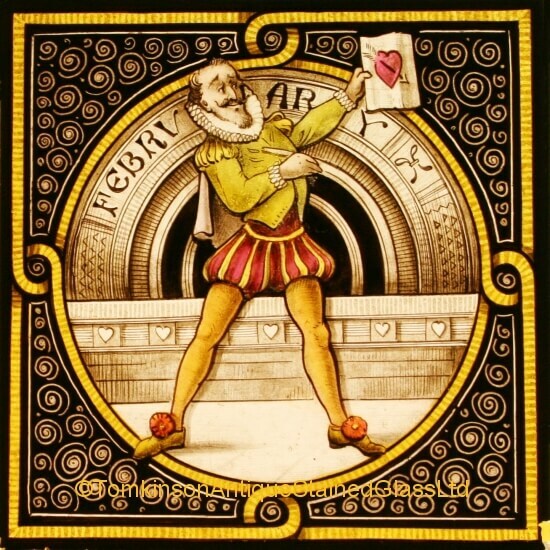 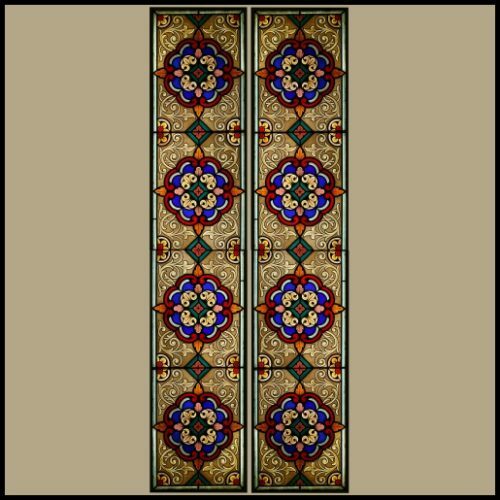 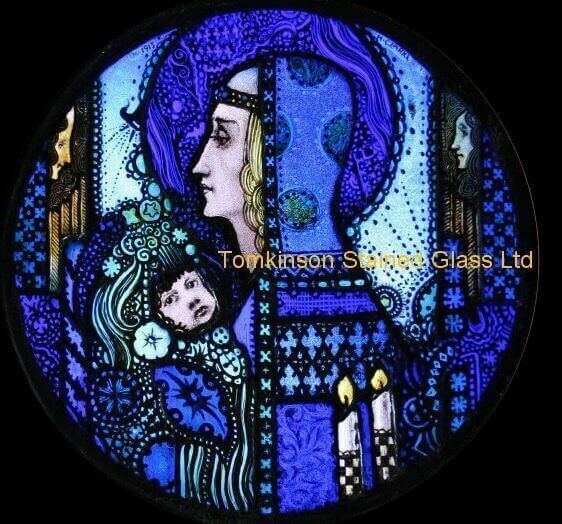 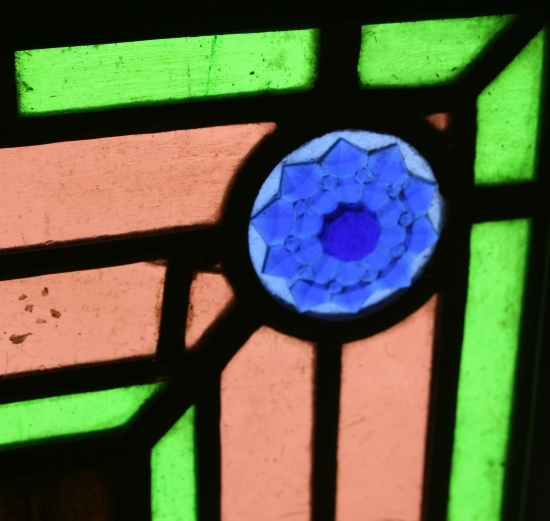 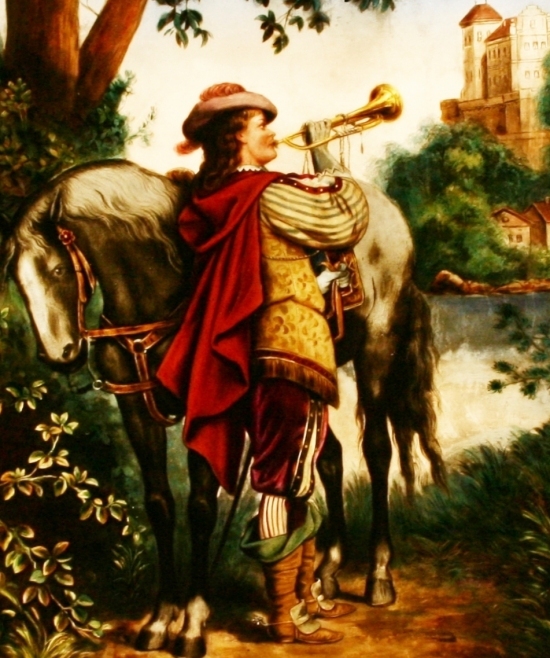 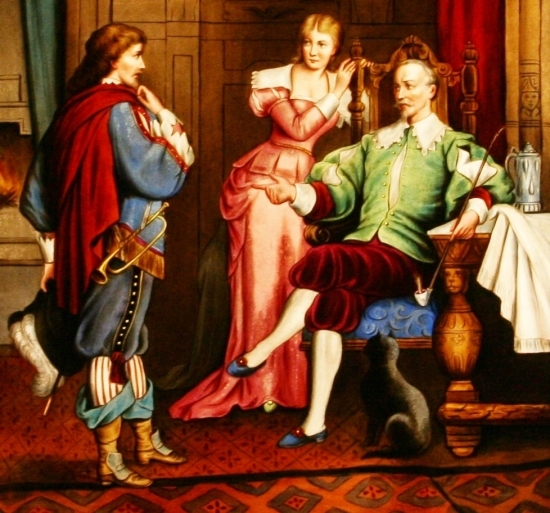 Each leaded with obscure coloured glass borders and coloured glass Jewels. 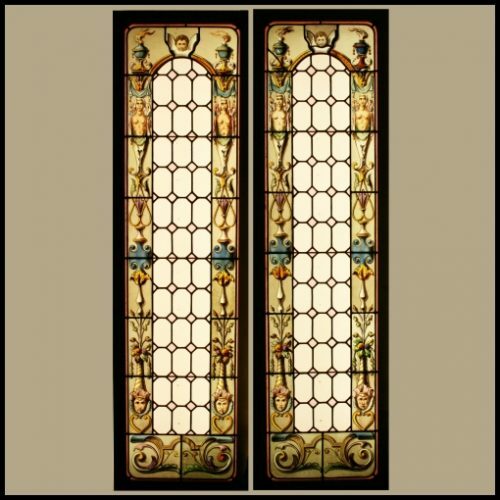 Super quality and in excellent condition, hanging chains attached to each window.